As unjust as the trial and sentencing of the Transform Now Plowshares may seem, they show that the government actually sees civil resistance for the power and capacity it truly represents. Outside the courthouse in Knoxville, Tenn., where three anti-nuclear activists were severely sentenced on February 18, Michelle Boertje-Obed, the wife of one of the three Transform Now Plowshares members, encouraged everyone to see Judge Amul Thapar’s ruling in a positive light. 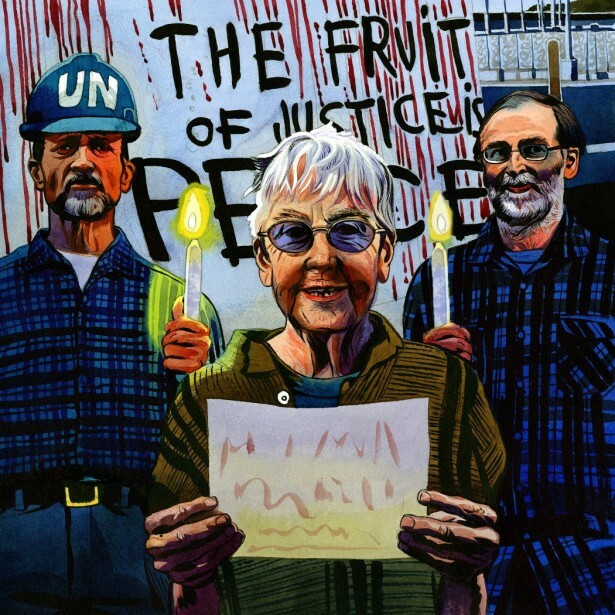 Despite her husband Greg having just received over 5 years in prison for infiltrating the Y-12 nuclear weapons facility on July 28, 2012 and damaging federal property — along with Michael Walli and 84-year-old Catholic nun Megan Rice – Michelle pointed out that the judge could have easily given them much longer sentences, as recommended by the prosecution. Because, like most Americans, they THINK they know who King was and what he stood for – and stood against.